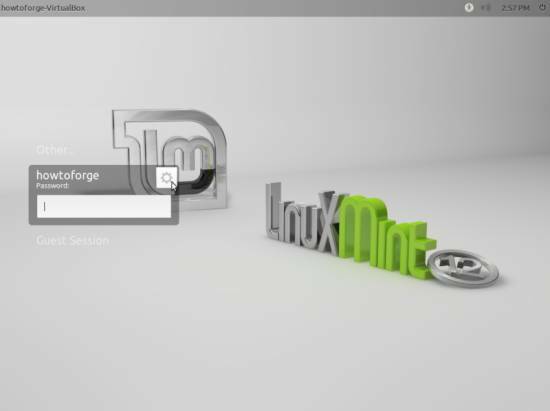 This tutorial shows how you can enable Compiz on a Linux Mint 12 Lisa desktop (the system must have a 3D-capable graphics card - I'm using an NVIDIA GeForce 8200 here). 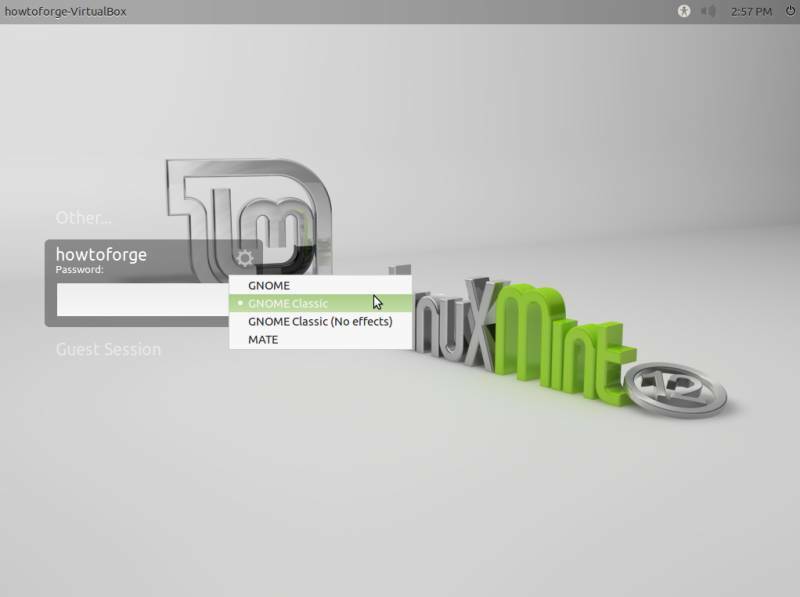 With Compiz you can use beautiful 3D effects like wobbly windows or a desktop cube on your desktop. The Additional Drivers tool should tell you that there are NVIDIA graphics drivers available for your system - select the recommended one. You don't need to install a driver for nVidia anymore on Mint 12 (you indeed needed to install a driver on Mint 11 and before). 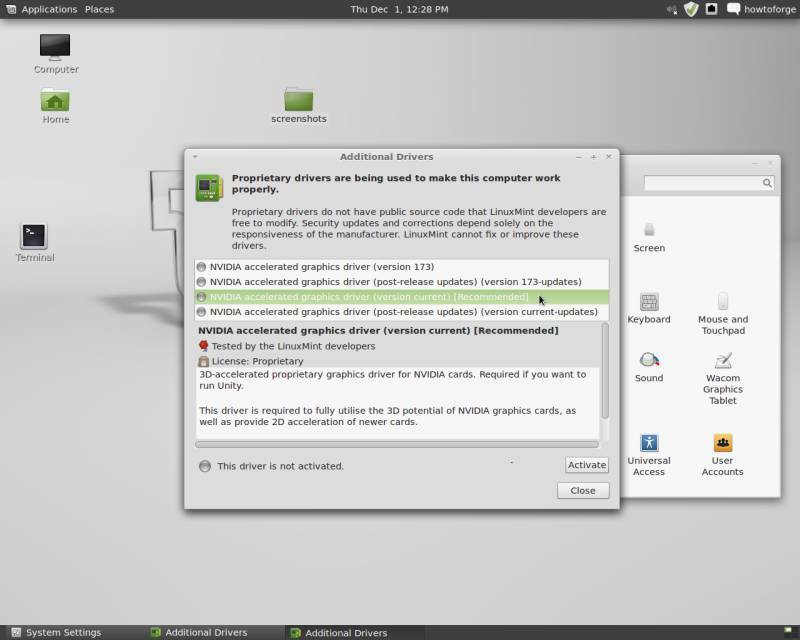 Nouveau works right out-of-the-box and can just run Compiz on any card up to GeForce 405. If it isn't broken, don't try to fix it. Only on newer cards you still need a driver. But indeed, you can install that driver if the performance is not sufficient or the card runs hot. 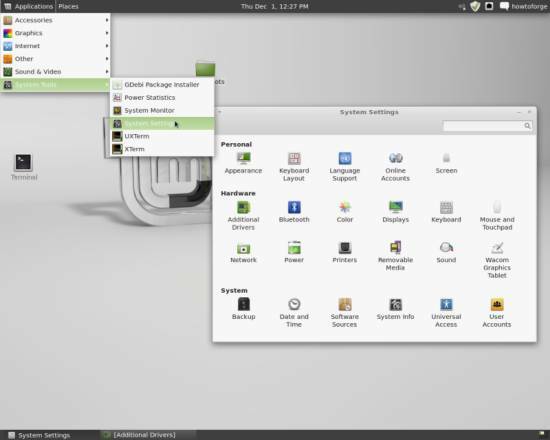 Gnome Classic in Mint 12 is NOT Gnome2, it's Gnome 3 in Fallback mode. Peopel seem not to get this and keep on talking about Gnome 2, but this is simply WRONG, please correct your article. @Jeannie: No need to be abrasive in your comment for an honest mistake on his part. You can offer advice or a correction without hurtful. What are you talking about? Abrasive? Hurtful? Nonsense! I think your terminology is a bit confused here. 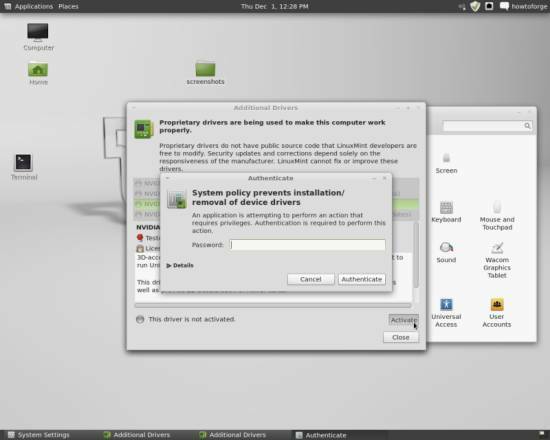 Mint 12 running Gnome Classic is not running Gnome 2. 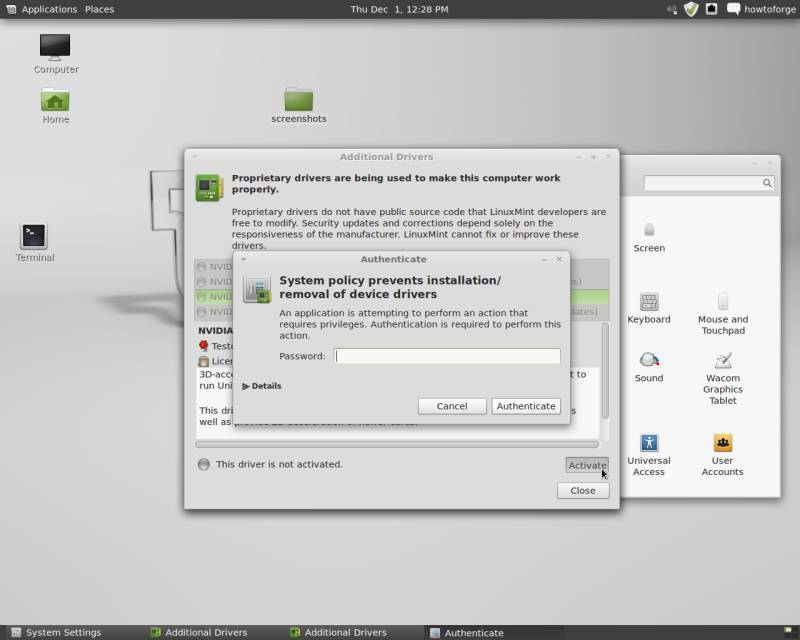 It is running a layer over Gnome 3. Closer to Gnome 2 is the Mate environment, which is available with Mint 12, but is not completely polished yet.